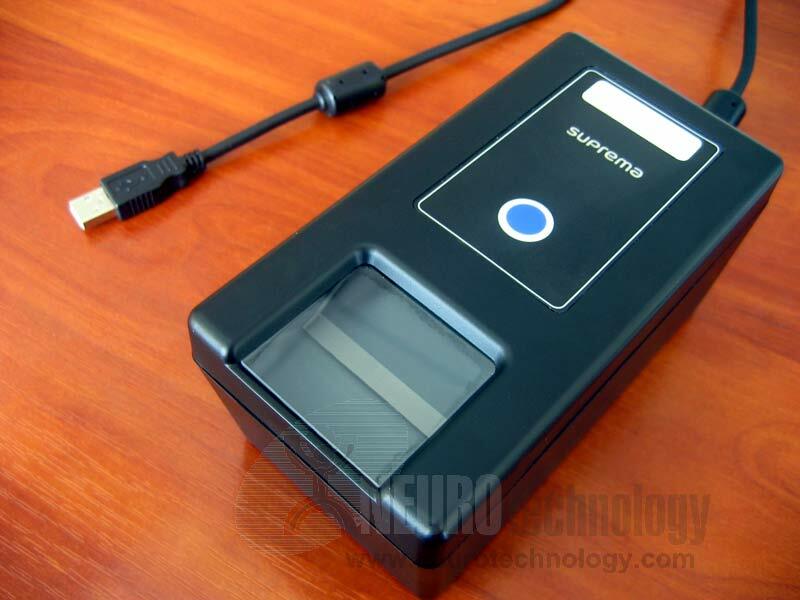 Suprema RealScan-S is an optical USB 2.0 fingerprint scanner. Scanner's manufacturer specifies that the scanner is waterproof and tolerates temperature changes by preventing water condensation. The scanner is able to scan fingerprints in various conditions, like wet fingers, dirty or greasy stains on the sensor etc. Suprema RealScan-S was formerly known as SFR300-R.